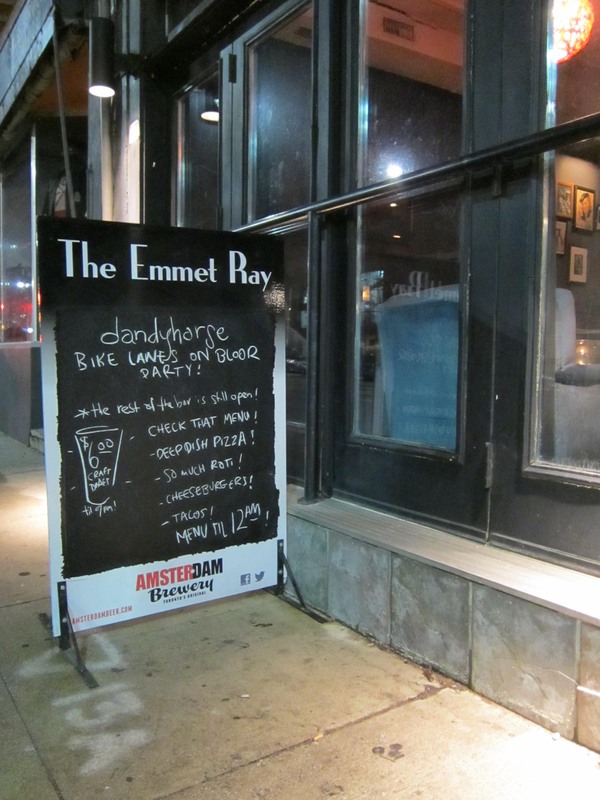 dandyhorse hosted a soiree at The Emmet Ray to celebrate the coming of bike lanes on Bloor for 2016 and to show appreciation to our contributors. Image by Brett Lamb. 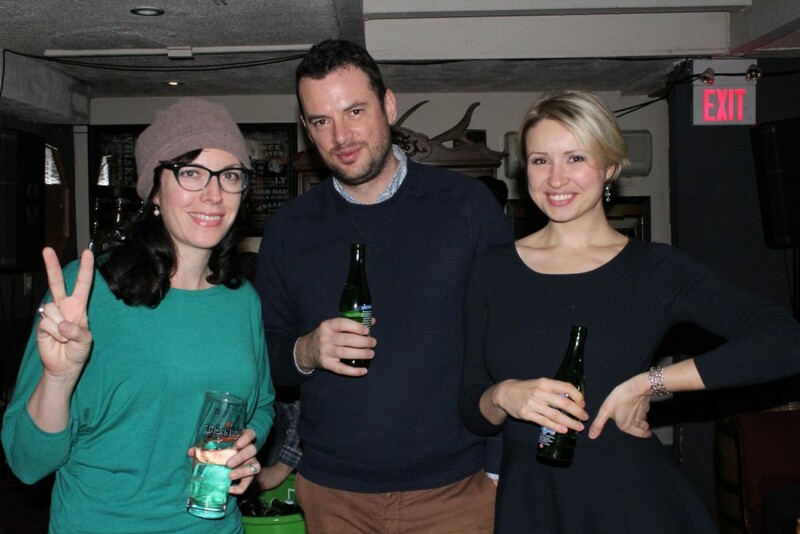 dandyhorse celebrated another great year of bikes and independent medie with a party at The Emmet Ray on Dec. 30. Thanks so much to Opus and to Steam Whistle for the bike and beer giveaways, and to The Emmet Ray for providing a great vibe. 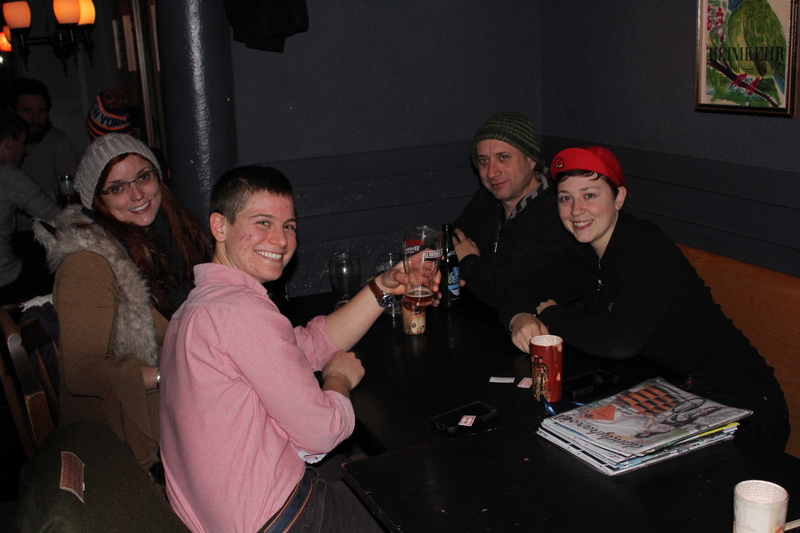 Contributors joined together for some merry making while one lucky winner rolled out of there with the blue beauty. 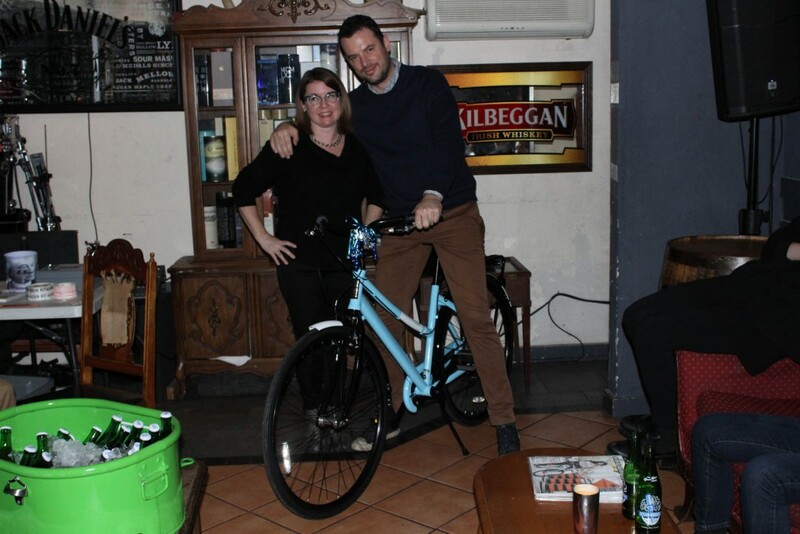 Bike winner, Brendan Agnew-Iler, with dandyhorse publisher, Tammy Thorne. Photo by Robert Zaichkowski. 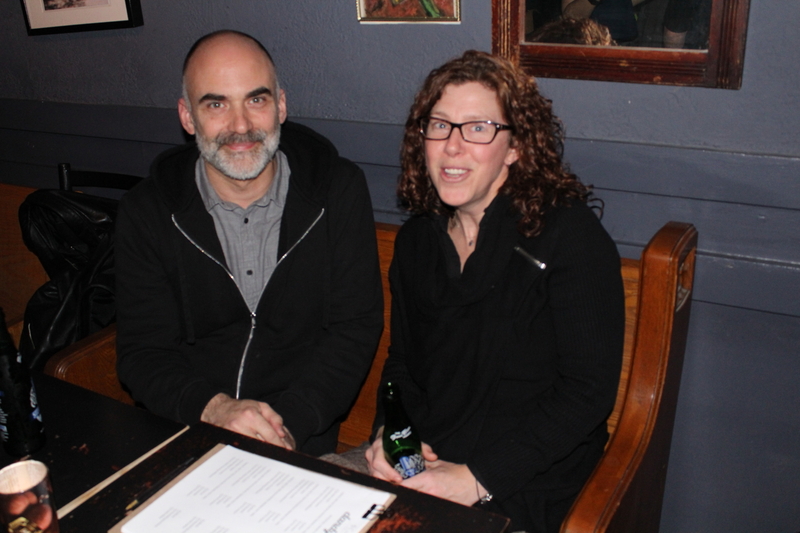 Yvonne Bambrick (left) recently published The Urban Cycling Survival Guide and has contributed countless photos to dandyhorse over the years. Thanks Yvonne! Photo by Robert Zaichkowski. Jody Hocs (with part-time dandy copy editor, former dandy printer, and forever dandy fan, Meagan Crump) illustrated some pretty fancy cats for dandyhorse. Photo by Robert Zaichkowski. Contributor Alex Legum from Sweet Pete's (seen here raising a glass with friends) recently wrote about what kind of winter fun they have for everyone at Evergreen Brickworks. Photo by Robert Zaichkowski. 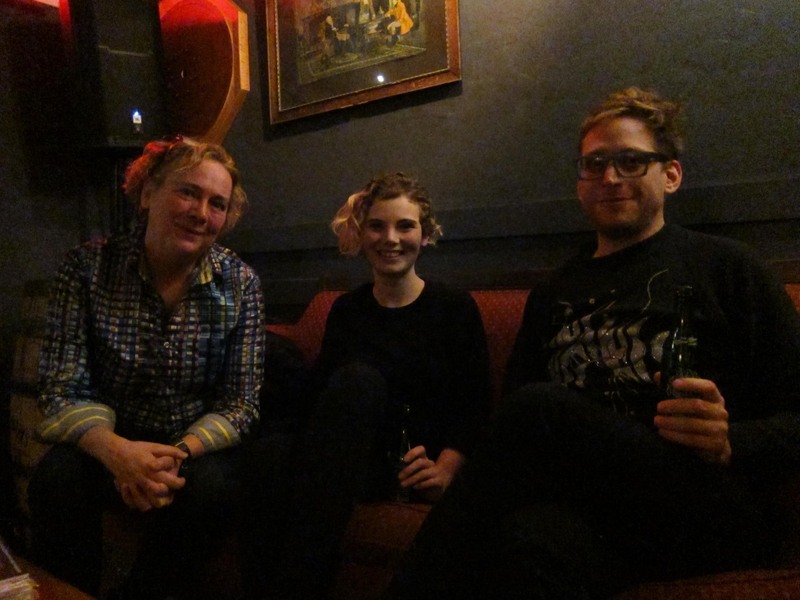 Amelia Brown (centre) is dandyhorse's managing editor and has pitched, written, designed, interviewed and photographed numerous dandy stories. Read her most recent piece on the dandyBLOG about the City's new snow clearance protocol for bike lanes. 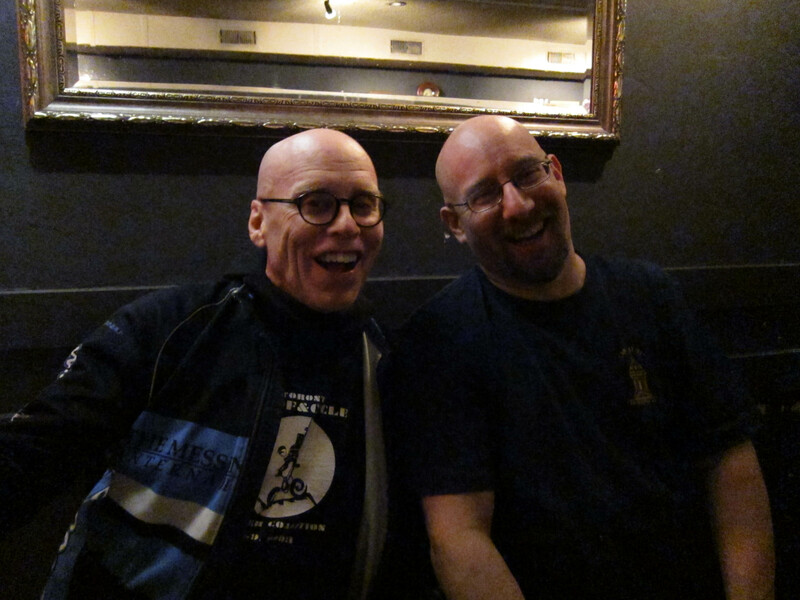 Wayne Scott, of Hoof & Cycle, (left) was featured in our food issue and Joey Schwartz, of the Toronto Bicycling Network, was in our winter issue last year. 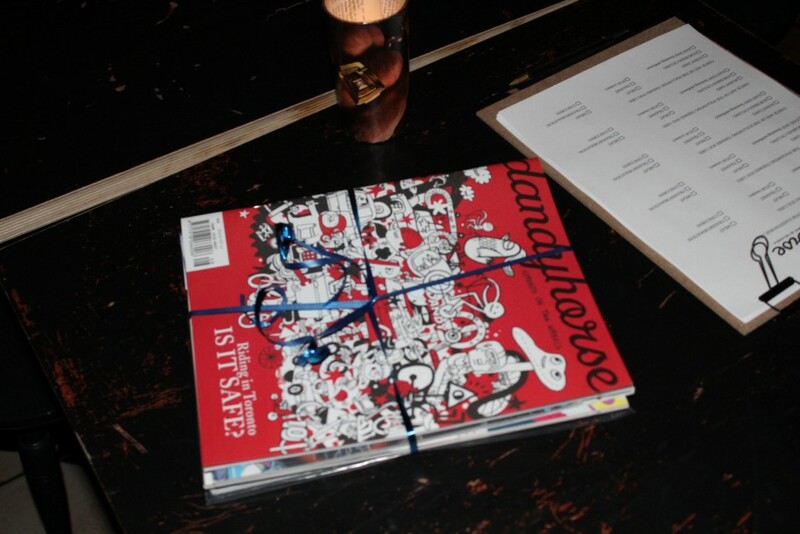 dandy gift packs included some of the best of our back issues from the past seven years. We also had clipboards to find out what folks thought of some of of suggested themes for 2016 issues. 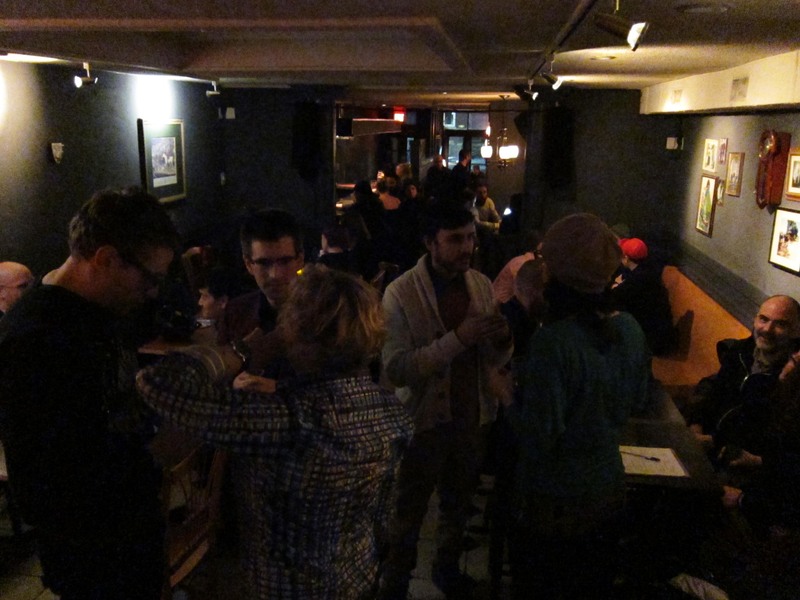 Themes included: the East End (housing subtheme), Heat, Meat (vs vegetarianism), Fur (for our first-ever winter print issue, with a clothing subtheme), Transit, and Unicorns. Photo by Robert Zaichkowski. 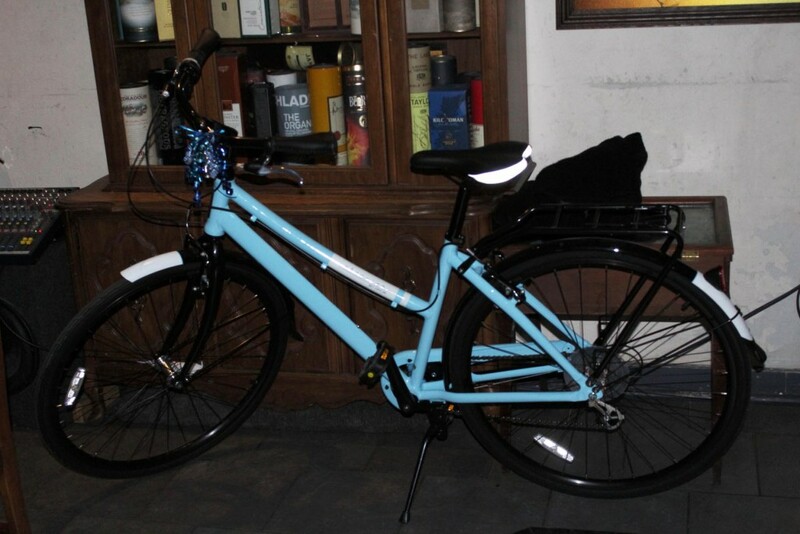 Thanks again to Opus bikes for this beauty commuter! Photo by Robert Zaichkowski. And even if you couldn't make it to our fab party, not to worry, we look forward to working and partying again with all dandies old and new in 2016. In 2016, we'll produce three (3!) 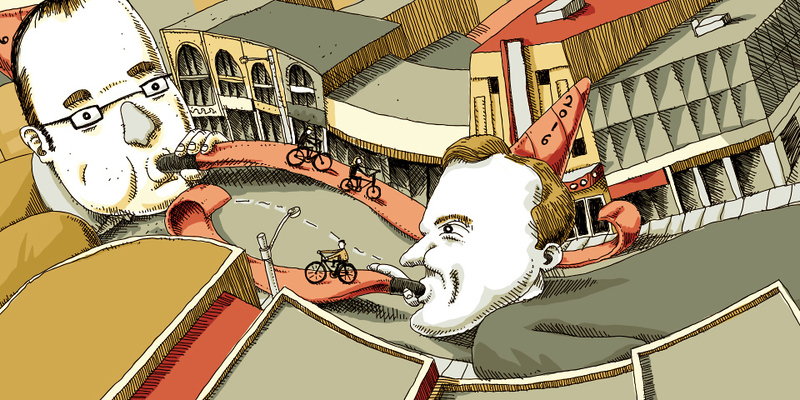 print issues and kick off a collaboration with Torontoist -- that means wider reach for our best bike stories! 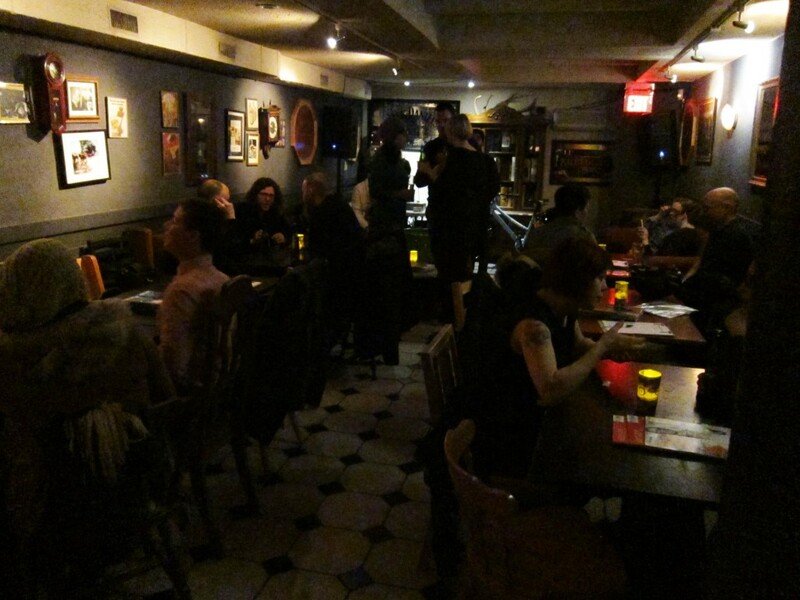 Thanks again to the Emmet Ray and to everyone who joined us.